chatter & sleuths: Jun K's album "girl I miss you"
(cr: 2pmalways) ~ [INFO] Jun. K's 2nd Japanese Mini Album 'LOVE LETTER' Tracklist! All 8 tracks are composed & written by himself! have a look at the song titles. on guigui's birthday, JunK tweeted #GIRLIMISSYOUWITHME . his followers wondered if it was a song he was working on for his album. we meanwhile were giggling that he was perhaps playing messenger for someone's behalf on guigui's birthday.... so no idea why that hashtag but that song is not on this album.. maybe, that song #GIRLIMISSYOUWITHME didn't make the cut! GuiGui WuYingJie today event pictures is here! Thanks to all the media sisters and brothers that turn up. 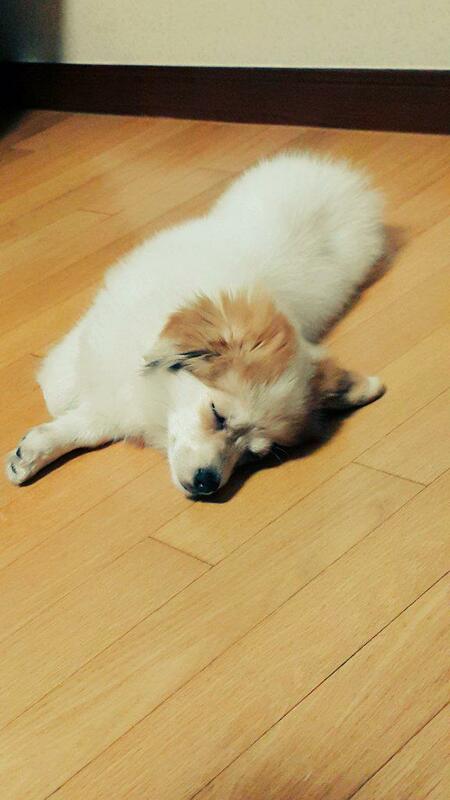 this post of hers makes me delu giggle...kekeke.. what about you? caption Translation: Want to travel already. hmmm...... someone is in japan for a concert. so she want to travel now, later? taec posted this yesterday (oct 27) (no caption) ~ do you see what I see? 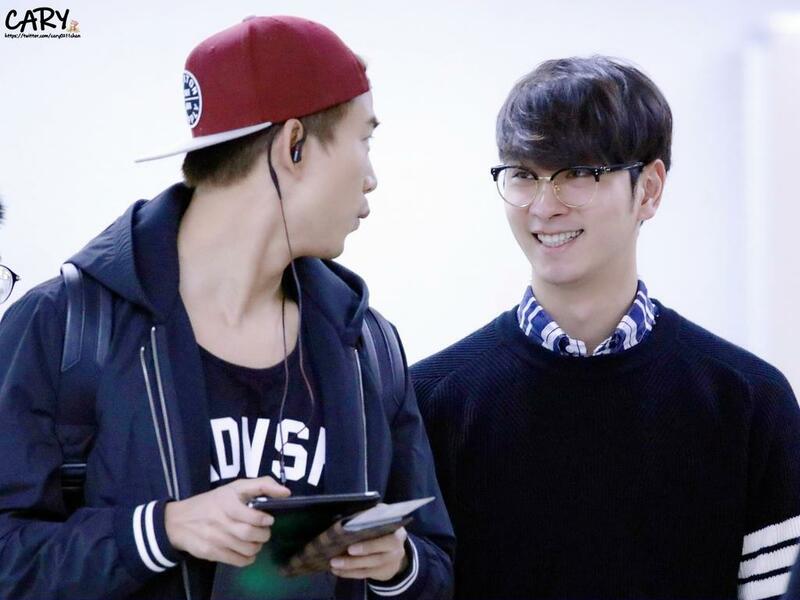 at the airport.. (not sure when ) -- look at chansung's cheeky grin. 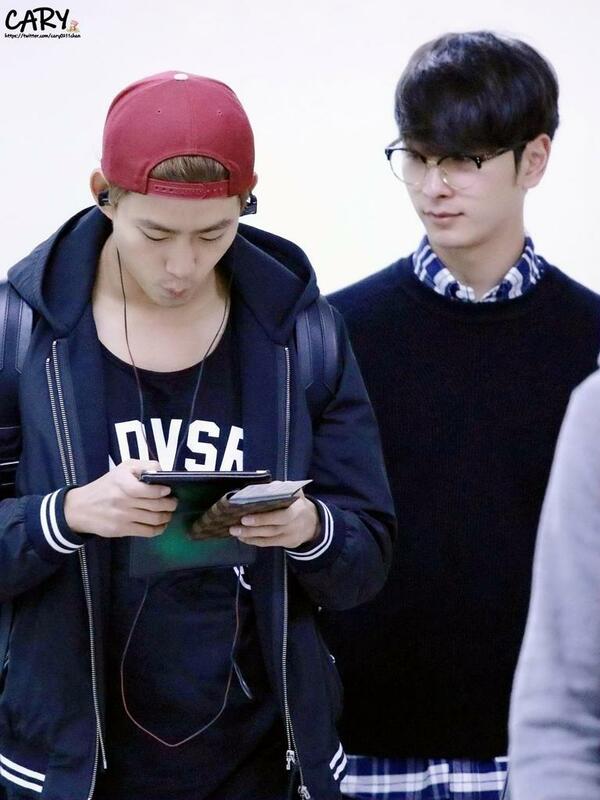 what did he see on taec's phone? translation: I also miss Dimdimsum, everyone, go quickly and eat dimsum! PS: I think this is a dimsum restaurant in Taiwan... can anybody confirm? is he referring to himself or the dog? an old article from Jan 2013 but found it a fun read. The first story of 2PM’s Taecyeon and Nichkhun’s friendship. Asia’s #1 Beastly Idols 2PM. Member Taecyeon is Korean raised in Boston, while Nichkhun is Thai raised in California. This is the first time they're sharing the story of their friendship from the past to now, and to the future. They will be sharing the stories of hardships during trainee period to the topic of marriage in the future. 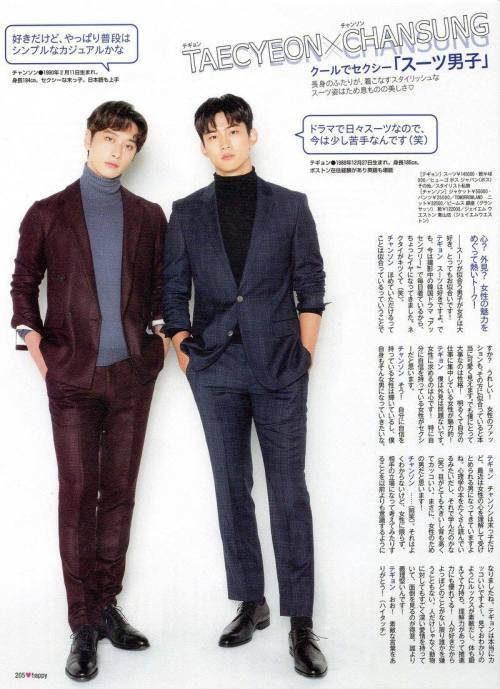 2PM first appeared in Vogue Japan on the August 2011 issue. The photoshoot was held in Tokyo during June. 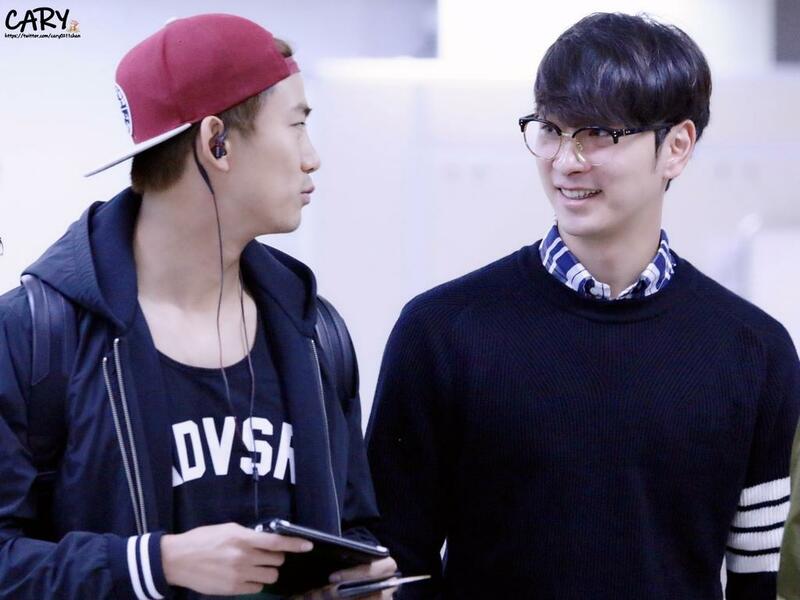 After the earthquake, many foreign artists deferred their Japanese promotions but 2PM went ahead and came to Japan. On the roof of the studio in Aoyama, Tokyo, the decision to do a photoshoot with the concept of energy and flight has resulted in an overwhelming response from the readers. During the two years after, be it Japan or Asia, the world has seen huge changes. At the same time, the members have all matured. Their 5th single “Masquerade~” released last November achieved Record Industry Association of Japan (RIAJ) Gold status almost immediately (100,000 records sold). Their "Legend of 2PM" Arena tour also began on January 11th. On April 20th and 21st, it is confirmed that their first show at the Tokyo Dome “Legend of 2PM - Tokyo Dome” will be held. 2PM’s One Point Korean Lesson is a fixed program on NHK and it has increased their exposure on the national level. 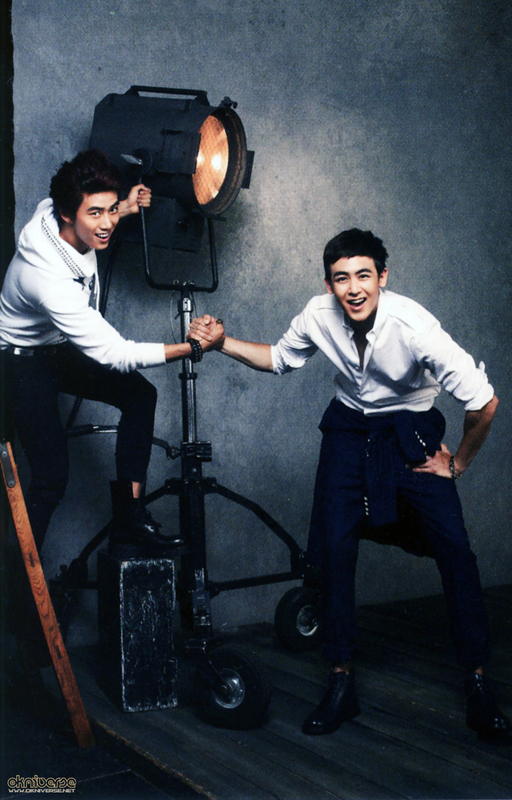 2PM members Taecyeon and Nichkhun both grew up in the United States. They came to Korea when they were 18, and now at 24, they are the new Asian stars with supporters from Korea, Japan, China and Southeast Asia. As teenagers in America, did they anticipate such a day that they would be stars whose influence spread all over the Asian market? The concept for this photoshoot is how they behave backstage before a performance. In the relaxed atmosphere, we were exposed to their true selves. am not posting the whole interview. just taec's bit. to read the full interview translation, see here. Heart? Looks? A passionate talk all about women’s charms! caption: 짐 정리하다가 발견했다. 지난번 상해에서 귀귀가 준 선물! incidentally found out what Emma gave me at last meeting in Shanghai. So happy to see you, looking forward to our next meeting!